Who would have thought Glenn Frey’s one hit wonder, “the heat is on” would ring true in the world of deck coating! 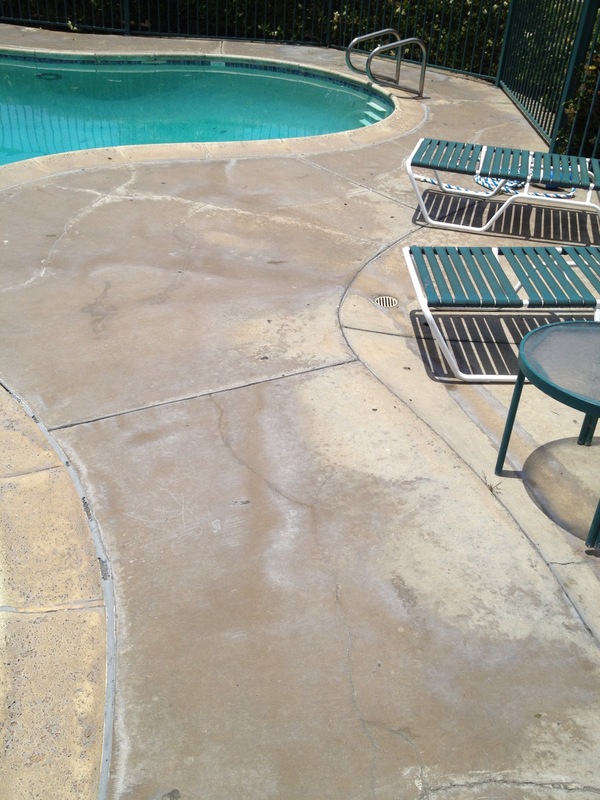 With Prestige Deck Coating, you can get a cool pool deck for the summer heat. The heat is on, it’s on the street…and your deck! You want to be prepared for your summer pool parties. You do not want to burn the feet of your kids or neighbors or friends (“it’s burnin’ burnin’ burnin”). You definitely do not want a cracked noggin’ due to a slippery pool deck. You do not want to be embarrassed by cracked concrete or outdated design. “That’s the chance you take, when the heat is on!” Prestige Decking can help. We specialize in pool deck resurfacing. A cool pool deck should be prestigious. It should be both functional and beautiful. We are talking about temperature and style. The heat is off. With our customized pool deck resurfacing system, you can have a cool pool deck surface no matter what the temperature. Our sealer’s chemical makeup adds slip resistance and resists “hot tire pickup.” In other words, our two coats of waterproof paint are designed with traction and adhesion in mind. You get watertight safety. Your pool party is destined for success! Check out some of our cool pool decks!